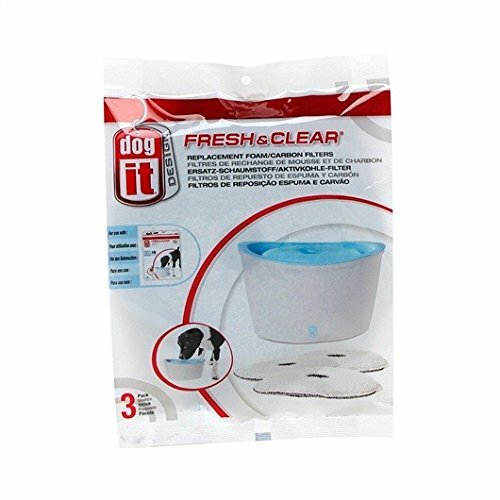 Dogit Foam Cartridge for Dogit Design Fresh & Clear is replacement Carbon Filters for Catit Design Cat Drinking Fountain. They help the filters collect debris, food, hair and sediment. Having activated carbon helps absorb water impurities, ensuring your cat or dog is drinking fresh and clean water. 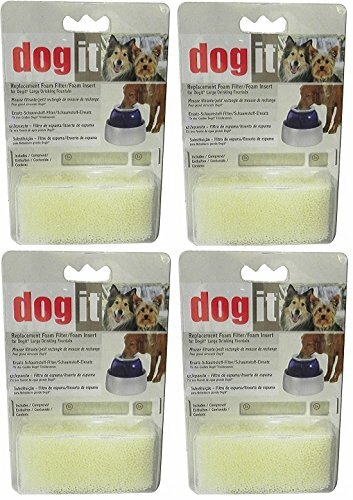 Four (4) packages of Dog-It replacement foam for Dog-It fountains. Replacement Foam Filters/Foam Inserts for the Hagen Dog-It Drinking Fountain. One large and one small foam. Usage Guidelines: Foam Filter and Foam Insert should be replaced every 6 months. More frequent changes may be necessary due to indoor environmental and water conditions, as well as multiple pet use. 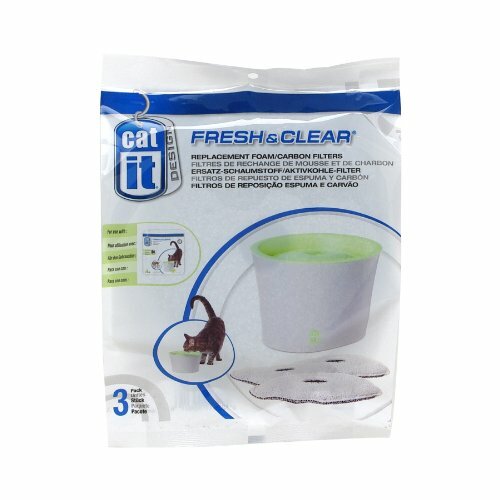 The Catit Foam Cartridge for Catit Design Fresh & Clear Fountain is a replacement Carbon Filter for Catit Design Cat Drinking Fountain. They help the filters collect debris, food, hair and sediment. Having activated carbon helps absorb water impurities, ensuring your cat or dog is drinking fresh and clean water. 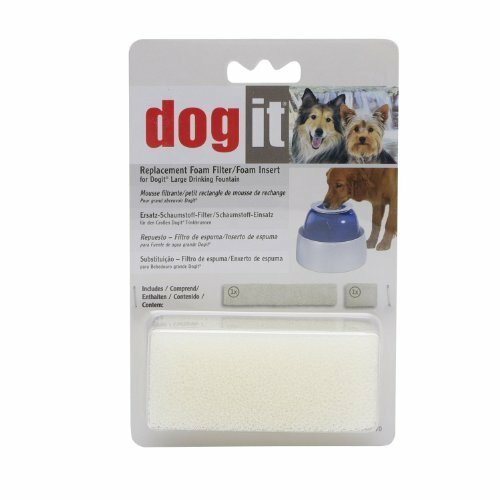 The Dogit Design Fresh & Clear Replacement Purifying Filter is for use with the Dogit Design Fresh & Clear Large Drinking Fountain. It also helps to reduce bad tastes and odors while absorbing impurities present in tap water. The Exo Terra Repti Clear Foam Filter Media Insert is the replacement media for the Exo Terra Repti Clear Compact Filter. The Exo Terra Repti Clear Compact Filter is an energy-efficient compact terrarium filter and is also perfect for providing water circulation in terrariums and aqua-terrariums. The filter is fully submersible and can be installed either vertically or horizontally. The presence of clean and fresh water is important for the proper care and maintenance of captive reptiles and amphibians. Exo Terra offers a complete line of products to ensure that a quality water source is always easy accessible for the terrarium inhabitants and that the water is kept clean and free of debris. 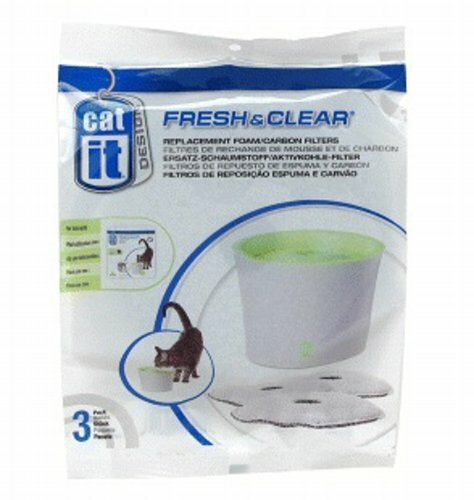 The Catit Fresh & Clear Replacement Foam/Carbon Filter is for use with the Catit Fresh & Clear Drinking Fountain for Cats. This dual-function replaceable filter helps to collect debris, food and sediment, as well as helping to reduce bad tastes, odors and absorbing impurities present in tap water. The filter should be replaced every 3 weeks or when the filter becomes visibly saturated with foreign matter (debris, food, hair, etc). More frequent changes may be necessary due to indoor environmental and water conditions, as well as multiple pet use. 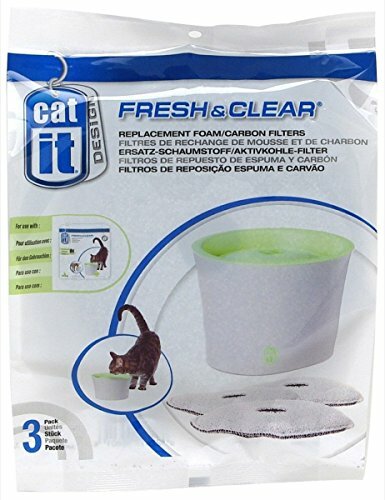 These filters fit Catit Fountain models 50053 AND 55600 ONLY. 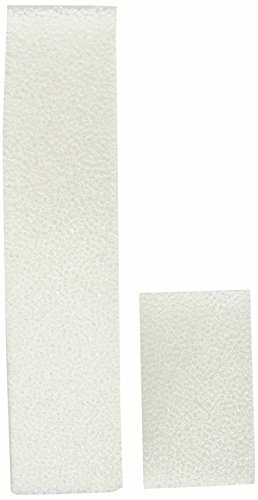 Looking for more Clear Replacement Foam similar ideas? Try to explore these searches: Vintage Sewing Box, Michael Graves Collection Metal, and Flow Intake Kit. Look at latest related video about Clear Replacement Foam. Shopwizion.com is the smartest way for online shopping: compare prices of leading online shops for best deals around the web. 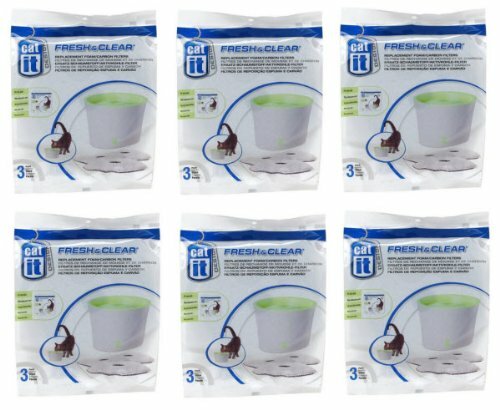 Don't miss TOP Clear Replacement Foam deals, updated daily.